Today I'm reviewing Key to Your Dreams with Dream Journal by Tamara Trusseau. Generally I like to start out with a disclaimer. I am an atheist witch. I look for the connection between magic and science without the need for a deity. I receive no compensation for these reviews and all my links are standard Amazon links and not affiliate links. I am a practicing photo reader and have spent the last 13 years honing my craft. I offer personal readings by request and have a strong online history that boasts nearly 400,000 views. As always I'm starting with a review of the physical book. I received a hard copy version of this book for review. I prefer hard covers when I'm not looking for a portal book or something I can throw in my bag for a travel treat. The size and weight of this book lends itself for a backpack vs. a purse so keep that in mind when considering which book to purchase. The traditional index is lacking in a book such as this, which is intended to be for reference however I should point out the entire second section of the book is dedicated to a dream dictionary. Part one of this book includes the introduction, a section on understanding dream symbols and interpreting dreams. The author provides us with dream categories, which I have not seen outlined in previous books I have read on dream interpretation. From psychological dreams to recurring dreams as well as nightmares the author provides a brief introduction to each with page references to learn more about the case studies related to each type of dream. For decades I have had the same recurring dream that finds me in a building from which I cannot escape. I go up and down the assorted elevators and end up at the very top. I find a hole in the wall and begin going down but the path gets smaller and smaller until I am completely enclosed in walls. Then I wake up. I plan to use this book with this dream to see if I can relate to the meaning this author provides. The section on case studies provides real world examples of the subject's background, the dream and the analysis of said dream. The second major section of this book is the dream dictionary. This is simply an alphabetical listing of objects, events and other items that may appear in dreams. It includes a one liner about what this particular imagery may represent to the unconscious mind. Looking back at my dream, I looked up a few of the images that I had to see what they mean. I'll list them along with their entry in the dream dictionary below. 5. Path - Depending on the other details seen in the dream, a path is representative of an important decision and its eventual consequences. Based on these few items (I left out elevator because it was not in the dictionary) it appears that my subconscious is trying to resolve issues from my past relating to false promises, division and insincerity. I think that's pretty accurate of what reality I have had in my past from a very general perspective. I would like to point out that sometimes it is difficult to recall dreams after you wake so it is a great idea to jot those down when you first wake. This author has thought of this as the last hundred or so pages is a dream journal. 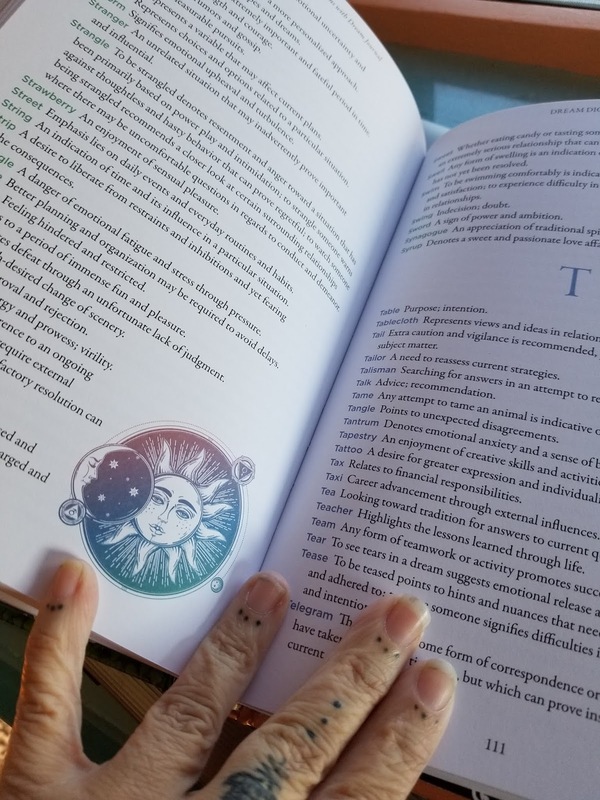 Each page is lined front and back for the reader to document those aspects of the dream they may wish to look up later. Over all this is a good book to get started in recording and understanding your dreams. Its hard cover and size make it a great reference book for a book bag or back pack and the hard cover ensures damage free pages. 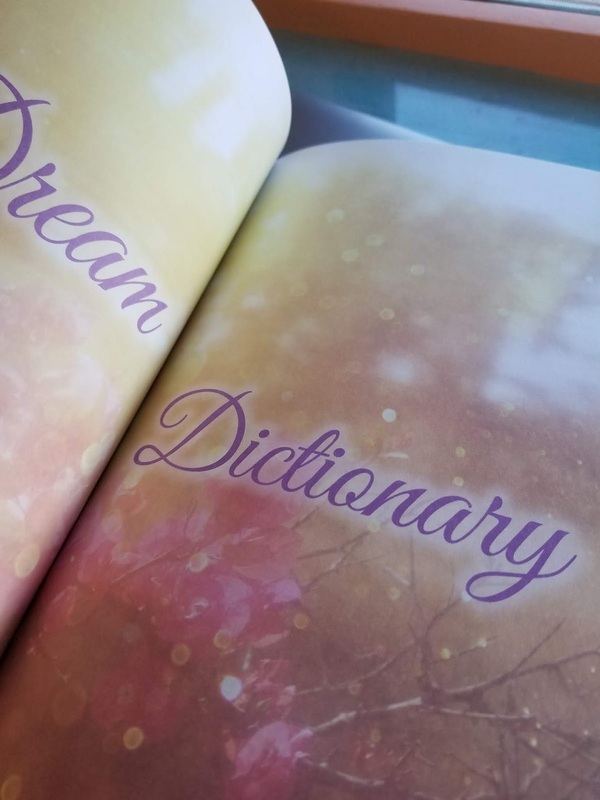 While lacking a traditional index this book is a complete dream dictionary where readers can look up imagery from their dreams in a simple easy to read format. Overall a great addition to your metaphysical library.